Sale-a-Bration and the Occasions Catalogue are here! Stampin’ Up!® Demonstrator Karen Robinson – Sale-a-Bration and the Occasions Catalogue are here! Welcome back! I hope you all had a lovely Christmas and Happy New Year. I really enjoyed (and needed) my little break and am now eager to get back to creating. 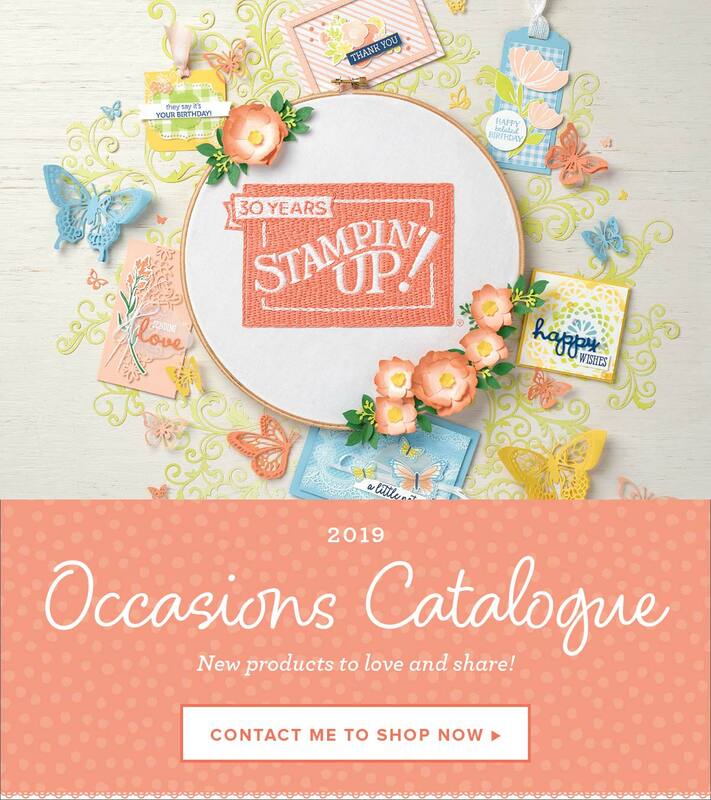 Our new Occasions Catalogue and Sale-a-Bration started yesterday and the next few months are really a great time to shop with Stampin’ Up! During Sale-a-Bration for every $90 you spend you receive a FREE item of your choice from an exclusive range of Sale-a-Bration products. These products can’t be bought, they can only be earned with every $90 spend! One of my favourite items (and I have a lot ) is the Inside The Lines DSP, it coordinates beautifully with the Dragonfly Dreams Bundle (from the Occasions Catalogue), but also looks great on its own. If you like colouring this is a great choice! If you don’t have a demonstrator and would like copies of any of our current catalogues just click here and I’ll post some out to you or you can download PDF copies from my sidebar. I’ll be back soon with some new projects to share!